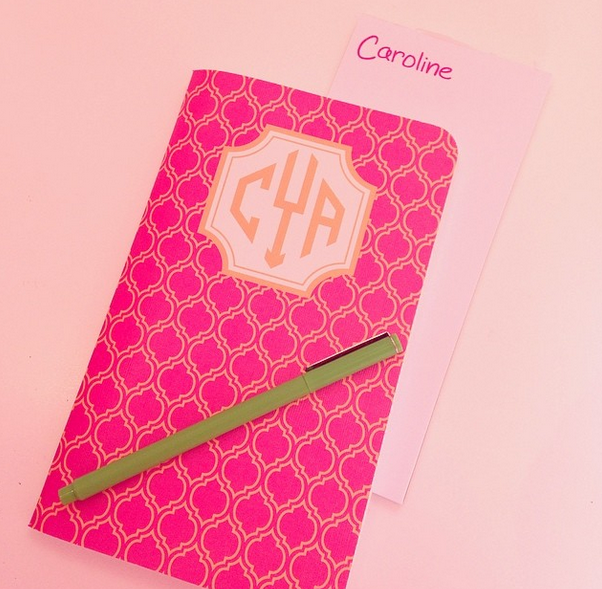 I can't tell you how much I've missed writing these Friday Fours posts! Luckily, this week went by surprisingly fast, most likely because of everything I've had going on. I hope it went by quickly for you too! There's nothing quite like returning home from traveling for two weeks. (Especially transitioning from the warm sun to dreary Wisconsin, ugh.) Anyway, I'm glad to be back and into my old routine, with the addition of lacrosse practices and games of course! Thank the lord it is finally spring! To get really get myself in the mood, I'm planning on buying some pretty flowers to set on my desk and bedside table - a nice pick me up in the morning. 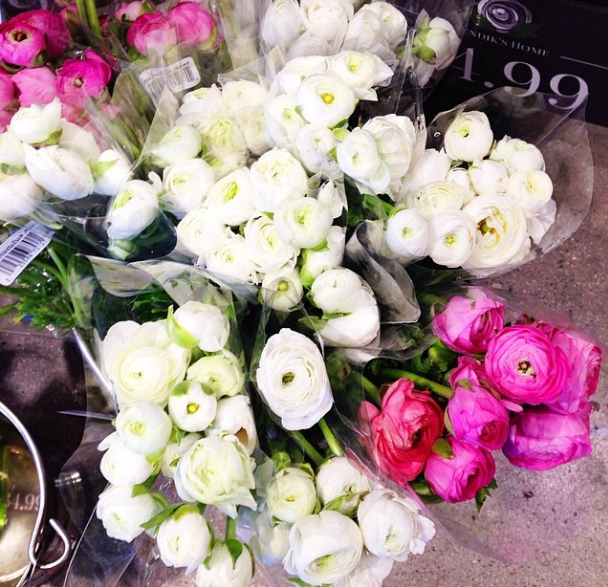 These ranunculus are absolutely stunning but I wouldn't be able to decide which color to get! Being completely honest, my food choices have been quite sub-par lately... aka way too much dessert. I couldn't help but eat this sprinkled cone in Florida though. 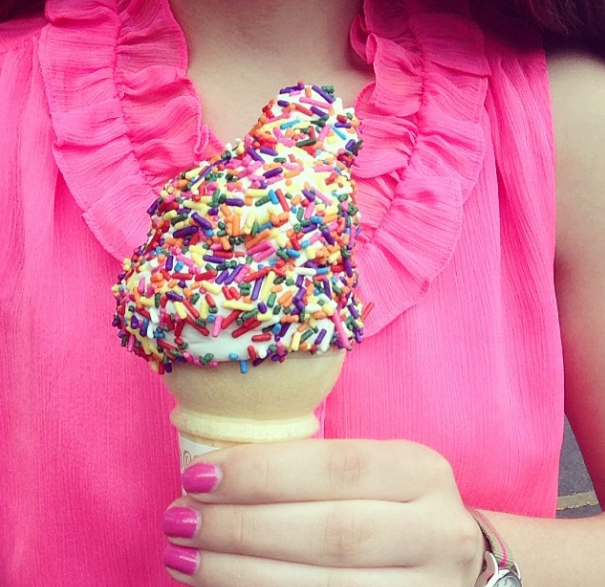 The sprinkles are too cute! This next week I'm going to really try to clean up my act and eat more healthy. Lastly, I've been doing a lot of brainstorming and planning for the blog these past couple weeks. I have so much exciting things scheduled and can't wait to share them with you! Please share things you want to see in the comments below!! I hope you all had incredible weeks! I'm off to a fun shopping event tonight so stay tuned on Instagram @citrusandstyle! Anything fun planned for your weekend? I can't wait for it to officially be ice cream season! Have a great weekend!